The Shikimate Pathway gives a bird's eye view of the shikimate pathway and its implications for the life of a range of organisms. 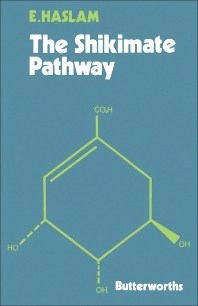 Topics covered in this book include the chemistry of intermediates in the shikimate pathway; biosynthesis of aromatic amino acids in this pathway; its metabolites; and its role in higher plants. This book is comprised of six chapters and begins by introducing the reader to shikimic acid, a natural product derived from the plant Illicium religiosum, along with the mechanistic and stereochemical aspects of the reactions of the shikimate pathway. The biosynthesis of aromatic amino acids from chorismate is also described, and then the discussion turns to the chemical properties and the detailed stereochemistry of intermediates and enzymes in the shikimate pathway. The next chapter examines the biosynthesis of isoprenoid quinones involved in electron transport and the folic acid group of co-enzymes in the shikimate pathway. The metabolism of the aromatic amino acids in microorganisms and higher organisms is considered, along with the biosynthesis and physiological functions of phenylpropanoid compounds and their derivatives in the shikimate pathway in higher plants. This book will be of general value to practitioners in the many and varied areas of biochemical research associated with metabolism.